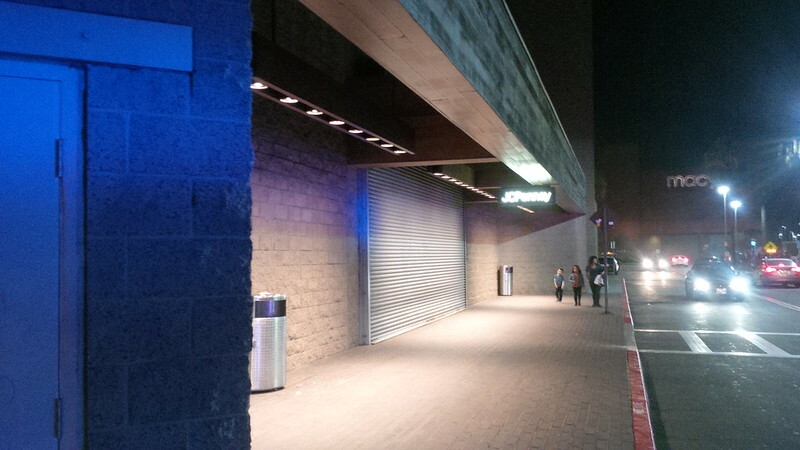 A few months ago, around Thanksgiving Holiday, there have been numerous reports of the Barstow Tesla Supercharger being vandalized and a key route between Nevada and California being taken offline. Our friends at Teslarati (and photo credits to Tony Williams) had great coverage of the event. That event shows the challenge of the current configuration of the Supercharger network and the need for those that travel the long distance supercharger routes to be aware of their options to charge. Last weekend, January 7, 2017. I found myself running low on charge while visiting family. 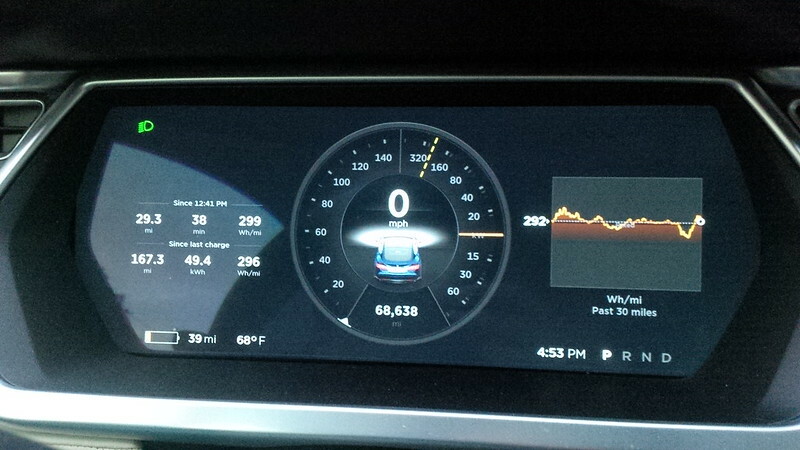 We were 40 miles from home and 39 miles of range left for the car. 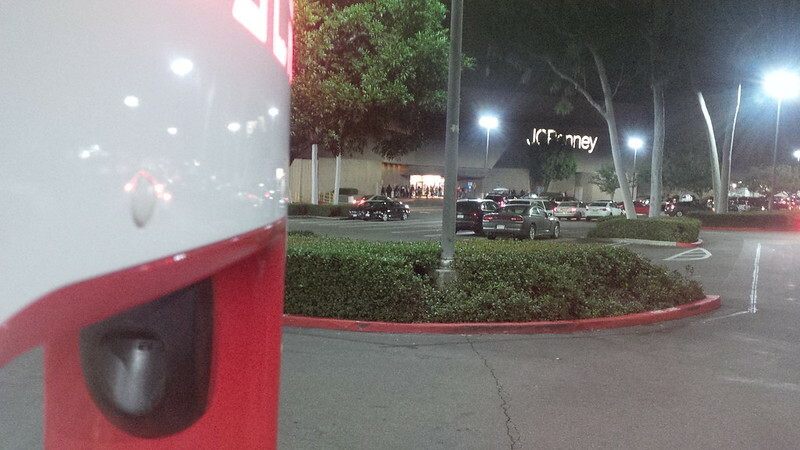 The family members we were visiting were close to the Tesla Supercharger at the Westfield at Culver City. I figured to make a pit-stop over there to top up while my better half took care of family commitments. Rather than risk driving out of charge, I figured to go ahead and top-up. 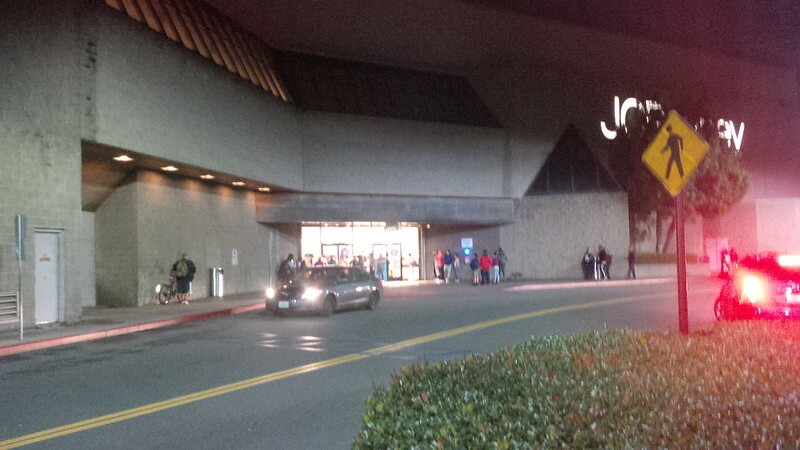 Besides, January is often a slow month at the mall. 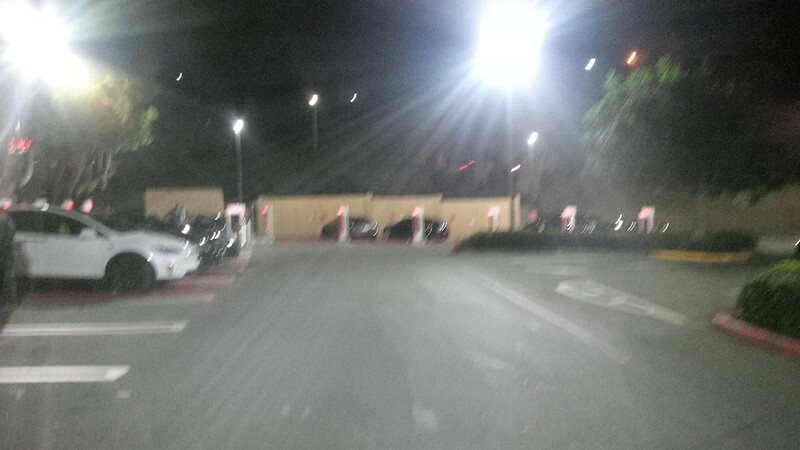 The Culver City Supercharger has a mix of back in and head-in charging stations. I took one of the stalls that head in as it was not paired with anyone and wanted to get as quick a charge rate as possible. My plan was to charge to full as it was a slow day. Besides, I had my iPad on me and took the time to catch up on things while I charged. I figured that when the station fills up, I can move. If someone else pulled up and needed to use a stall, I can leave at that time. The entire time I was at the center, the usage was unusually low for this location. I chalked this up to a slow January evening. With the after holiday sales going on, I decided to head over to the recently opened Starbucks across the parking lot from the supercharger to see if they had any clearance items left. So, I put my iPad down, stepped out, and looked behind me. Well, it seems that the mall was unusually empty and I started to take pictures as I saw police vehicles and people mulling about. 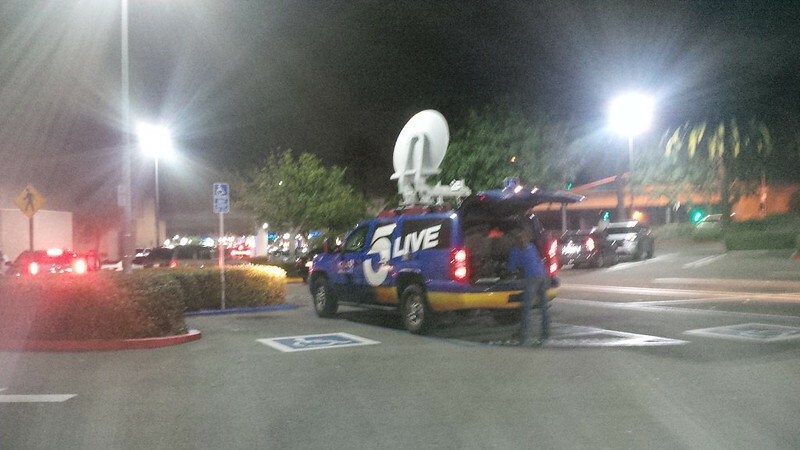 The news was here too, and I thought that was strange. 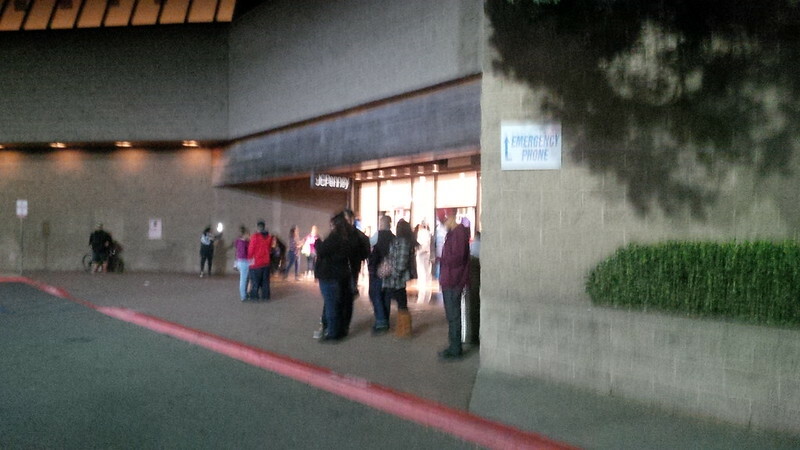 There were people standing outside what looks to be a closed mall entrance. 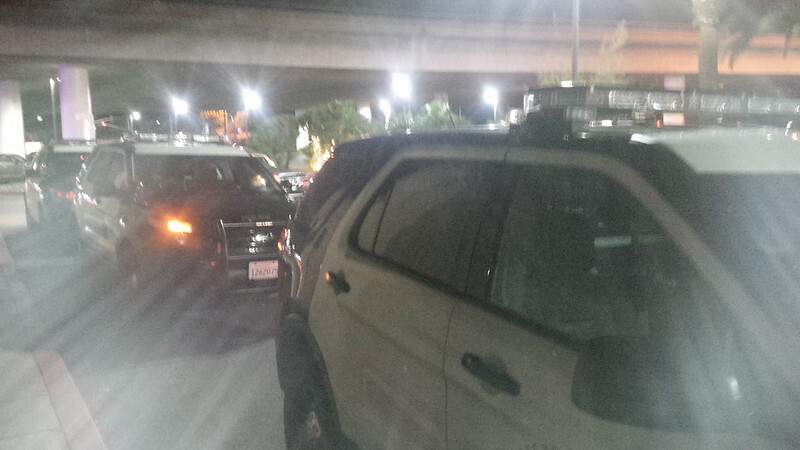 And there were three more police vehicles parked with no officers in them, nor were their lights flashing. 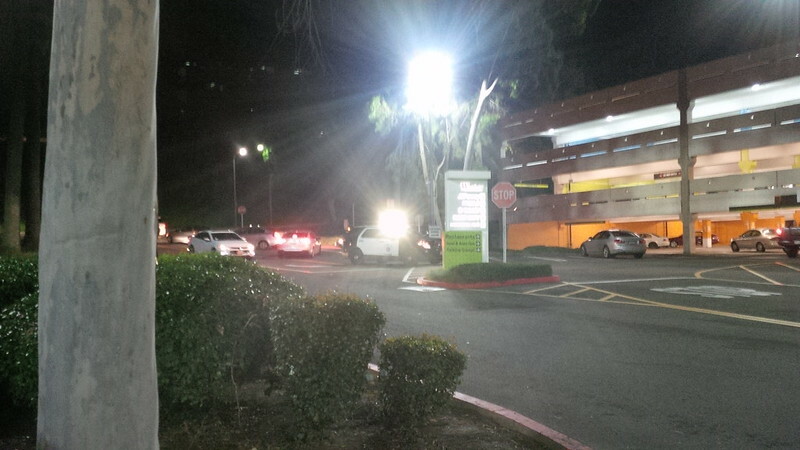 I turned the corner to get toward the Starbucks and noticed ANOTHER police vehicle with lights flashing this time. However, no sign of any officers directing traffic or anything. At this side of the mall, the entrance was definitely closed. I decided to speak to some of the people and received a wide range of conjecture of what was happening. 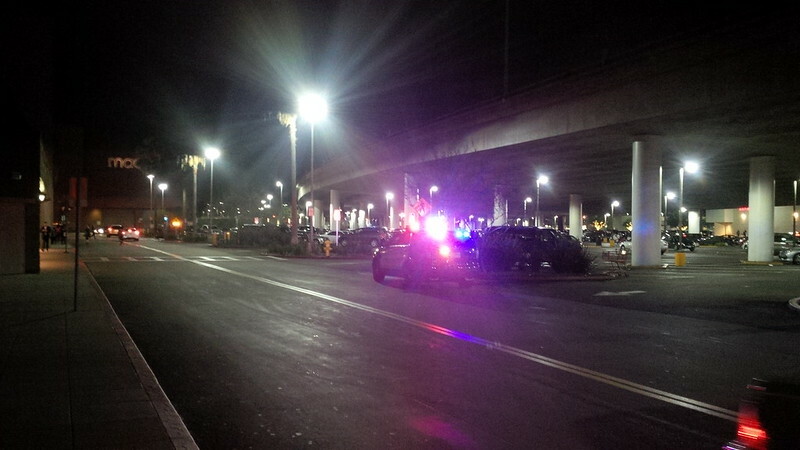 Some of their reports ranged from minor things to really serious things that I figured to head back to my car. 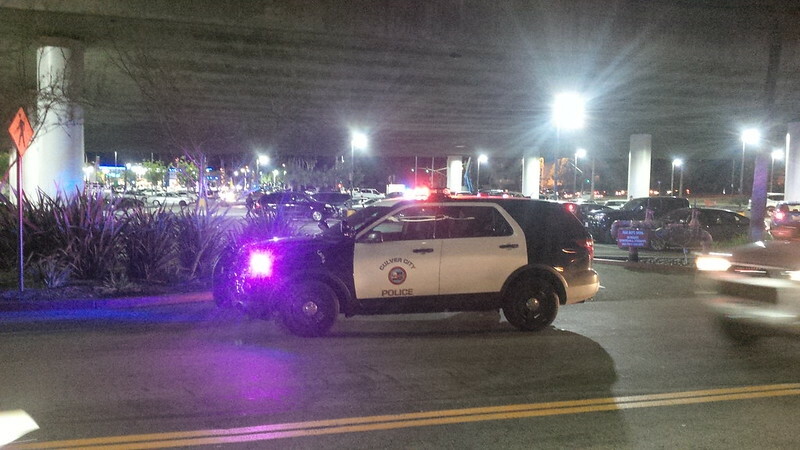 On the way back, I contacted a friend of mine who advised me that the local Culver City news was reporting that there were teenagers in the parking structure about a football field away from the superchargers were causing mayhem and vandalizing parked cars. 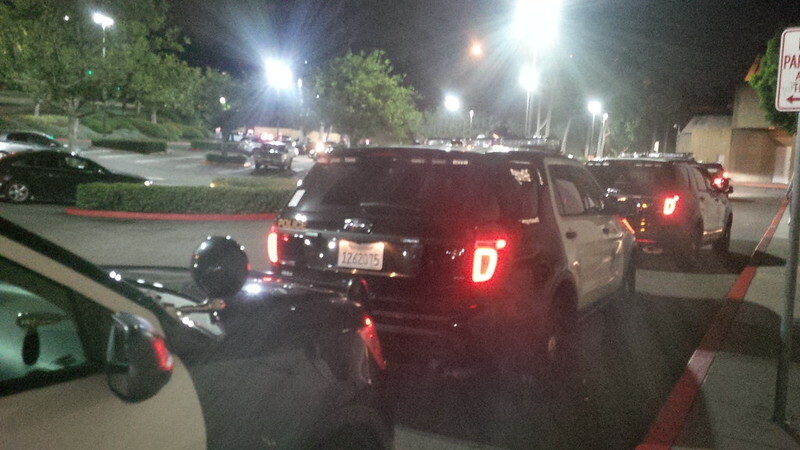 He wasn’t sure how accurate the reports were, but that behavior seems to target people IN the parking lot and not at the mall itself. Needless to say, that motivated me to leave. Prior to departing, however, I made the other owners at the superchargers aware of the reports that I heard and let them make their own decision to stay or to leave. The reports were finally written and I am linking to the article published in the Culver City News. I’m glad that these troublemakers didn’t get anywhere close to the superchargers. This event brings me back to wonder about supercharging and the need to have backup charging sites identified. 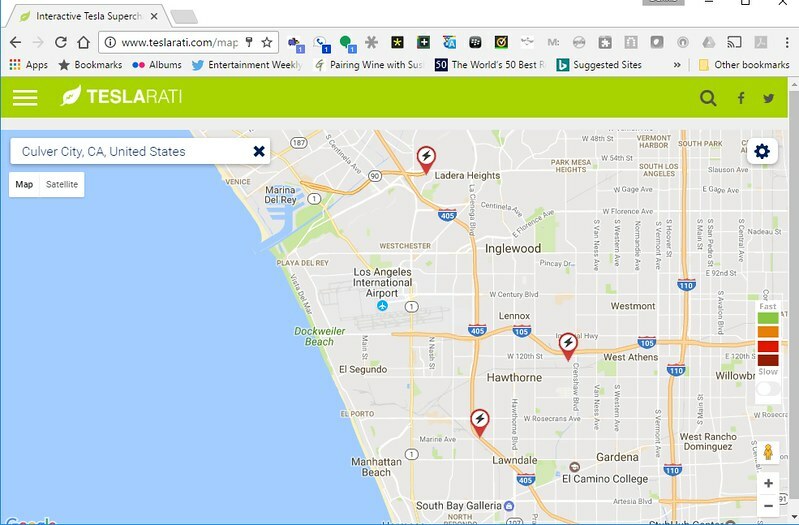 In the case of the Culver City Supercharger, it is very close to the original Los Angeles Supercharger at the Hawthorne Design Center or the Redondo Beach Supercharger. Granted, we could have plugged in at 120V at the house that we were visiting, but that is cumbersome and events like what happened last week are rare. I’m just glad that the event was really a “non” event for us, but it could just as easily have been a challenge and one really needs to be more aware of options in charging. A good part of this blame really is my own, but I assumed that I would have sufficient charge. The other thing I suppose I should have done more is to take my head off the iPad when I am sitting in my car and charging. When I have company when I am charging, I spend my time conversing with my traveling companions, but when I am charging at a location by myself, then it’s not a guarantee that I won’t get engrossed in what I am doing. So, a word of caution, and just something else to learn from.